The al-Qaeda leader has urged Islamist groups to overcome internal divisions and join forces to oppose the West, Russia, Syria and Iran. However, it raises the question of whether extremists can forget their differences and act as a united front. The call to unite Islamist forces was voiced by al-Qaeda leader Ayman al-Zawahiri. As reported by Reuters, his audio recording was released on November 1 on one of the sites linked to the terrorist organization. “The Americans, Russians, Iranians, Alawites, and Hezbollah are coordinating their war against us – are we not capable of stopping the fighting amongst ourselves so we can direct all our efforts against them?” Zawahiri said. It was not clear when the recording was made but references to the Russian Federation suggest it was made after Russia launched a military operation in Syria on September 30. The question of how realistic the prospects are for extremists to unite together has no clear answer. On the one hand, the ranks of radicals in the Middle East have been shaken by internal conflicts in recent years. On the other hand, al-Qaeda is changing the format of its activities, while maintaining its significant potential and attractiveness in the eyes of the members of other extremist groups. This could contribute to the consolidation of radical Islamists around its cells. The unification of radical groups in the Middle East is hindered by competition for the control of financial flows, which has especially intensified in recent years against the backdrop of the economic crisis. Another factor is that Islamists also have considerable ideological and religious differences. Speaking to RBTH, Yelena Suponina, an expert on the Middle East from the Russian Institute for Strategic Studies, described the al-Qaeda leader’s call as an “appeal to nowhere” considering the current set of circumstances. At the same time, the call to fight against the U.S., Russia and the rest of the “infidels” is nothing new. 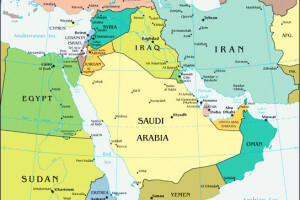 As noted by Sergei Demidenko, a Middle East expert from the Institute for Strategic Studies and Analysis, according to radical Islamists, Western countries and Russia are so-called lands of war, against which permanent jihad, or a holy war, should be waged. This is the line that Islamists adhere to in relation to all their opponents. There is, however, a view that Zawahiri’s call is just another al-Qaeda attempt to “score points” in its competition with the extremists of the Islamic State. It could be seen as al-Qaeda’s way of reacting to the statements of ISIS members who claim that it was they that shot down the Russian airliner over the Sinai Peninsula. “Al-Qaeda is trying to mobilize itself, come to the fore of the struggle and earn some points,” Alexander Shumilin, the director of the Center for the Analysis of Middle East Conflicts at the Institute for U.S. and Canadian Studies, told RBTH. The concern of experts about the constant adjusting of al-Qaeda’s format was seen recently. According to Vladimir Sotnikov, a senior researcher at the Institute for Oriental Studies, the organization has been transformed in recent years into a less centralized structure, with the autonomy of its regional branches growing. This allows these branches to more actively create situational alliances, including with ISIS, making al-Qaeda’s regional structures a serious threat to all opponents of extremists, including Russia. Sotnikov believes that clandestine cells associated with al-Qaeda already exist in Russia. “Some resources come to radical Islamists in Russia, especially in the North Caucasus, through Afghanistan and Pakistan,” Sotnikov said. He stressed that the attack could be carried out by extremists already in Russia, suggesting that it not be necessary for militants to be sent from somewhere else. Sotnikov recalled the double attack in Volgograd in December 2013. The perpetrators in that terrorist incident were believed to be linked to an Iraqi terrorist group.